How To Train Your Dragon 2 (2014): It’s a Wrap! In July 2012, imagine my surprise when I received a phone call from one of Dragon 2’s Co-Producer’s that I would be joining the animation team on the sequel to “How To Train Your Dragon”. I was ecstatic to say the least as the first film holds such a special place in my heart for so many reasons. It was one of the best experiences I had working on a film. The crew are some of the most kind, passionate, and hard working people I’ve ever met. What was to follow in the coming month was an unprecedented level of anticipation! 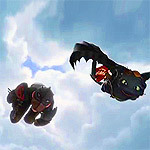 In August of 2012, (after wrapping up on DreamWorks’ Rise of the Guardians), I began a short stint in pre-production (prepping some flight/toothless documentation, helping to report any bugs in Toothless’s rig as well as for the brand new animation software which was in early development at the time – called “Premo”). Soon thereafter, I quickly transitioned into animation production. I was cast as one of the main animators on “Toothless”, and selected as one of three point people for Flight School 2.0 (an animation crash course designed to give our animators a solid understanding of flight mechanics). I assisted some animators and made myself available to answer any questions related to dragon flight animation. 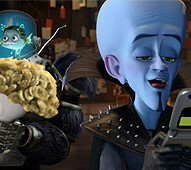 Before I was thrown into the fire handling an abundance of some of the most complex shots in the film, Simon Otto (Head of Character Animation on both Dragon films) briefed me on the level of expectation, and how high we needed to raise the bar – thanks to the spectacular work which preceded this film. Everything was expected to be bigger and better, with a story that pushed this universe forward in every way possible (Dean’s story pitch was brilliant, btw). The film needed to be everything that our amazing fanbase would expect this time around. Over the course of production I can honestly say that I’ve never worked harder and been pushed to the limit on any other project to date, and feel that my experience on this film has helped me to grow as an artist in more ways than just being an animator. I will certainly apply the disciplines I’ve learned to future projects, no doubt. Working with Director Dean DeBlois and Head of Character Animation Simon Otto (my mentor) again was a gift which allowed me to push my skills further than i could have possibly imagined. Simon’s impeccable aim for setting the bar to new heights has pushed everyone on our team to bring out the very best we could offer. His draw-overs, his constant eye for detail and subtlety has helped me to see better with every new shot I was given. I can’t thank him enough for his time, generosity and leadership for pushing the quality so high. He is the reason why the animation in this film has taken a giant leap forward. July 2013 arrives as we eagerly await the public’s reaction to our first teaser trailer, most of which consisted of a snippet from the opening flight sequence of the film (a sequence I was proud to contribute to early on in the film’s production). It consisted of the first time we see Hiccup and Toothless, five years later, souring through the skies. Five months later (December 2013) we released the first full-length Trailer to the film which reveals a bit more of the story and some of it’s newer characters, specifically, Valka. This trailer consisted of 14 of my shots – the most I’ve ever had in a single trailer. As soon as the trailer hit, the fans, the fandom, the internet just exploded with excitement! Animation production finished in April (along with a final Trailer), ending the longest run I’ve ever had on a single project (1 year, 9 months), now the countdown begins as we eagerly await the release of this labor of love. How To Train Your Dragon 2 releases June 13, 2014 in the U.S.
Below is a link to my MegaMind: The Button of Doom (2010) Demo Reel. Click below to view a Video Critique of your work! 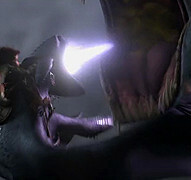 Below is a link to my How To Train Your Dragon (2010) Demo Reel.